The New Face of America is a truly despicable heel. At a recent WWE Live event, Kevin Owens was approached by a fan who wanted to meet his wrestling hero and get an autograph of his. Unfortunately for the fan, the moment did not go exactly as he’d imagined it would be. We bring you a video of the same. 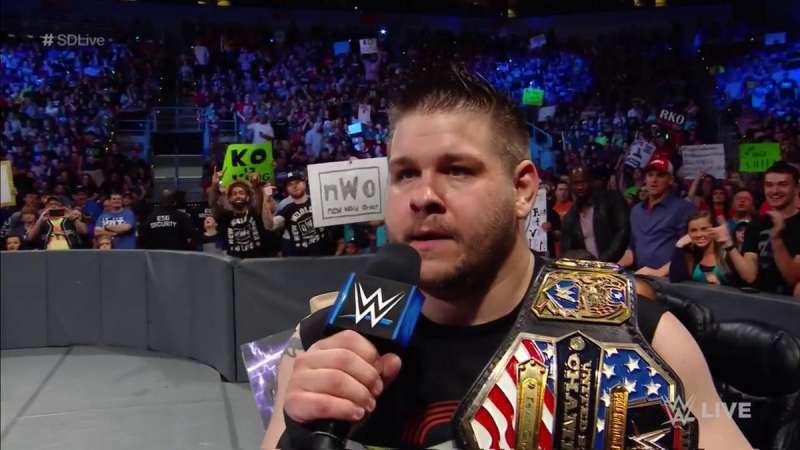 Even though Kevin Owens has always played a heel since his debut, in his current role as ‘The New Face of America’, he seems to have developed an extra vicious streak. While this isn't the first instance of him being rude to fans in character (Kevin Owens had made a kid cry for wearing a Roman Reigns tee last year at a Live Event), it seems like Owens has dropped the ‘cool heel’ gimmick that he played with Chris Jericho, where he would, unconsciously, quite often get the audience to pop in his favor. Kevin Owens was working a live event when a fan at ringside presented an autograph paper to the US Champion. While Owens did pretend to sign it at first, he tossed the paper to the floor and proceeded to the ring soon after. WWE posted a clip of the incident on their official Instagram account. While some in the comments section were in favour of Owens’ actions for living his heel character, others were critical. Kevin Owens takes on AJ Styles at Backlash for the US Championship. While Styles is the biggest babyface in the company at this moment, Owens’ actions are slowly turning him into the most despised heel on SmackDown Live. Being a heel is an art form. At a time when ‘smart marks’ are cheering for the heels and booing the babyfaces, garnering genuine heel heat is something only a few can convincingly pull off. Kevin Owens is a master heel, and his program with AJ Styles should be a dream feud. We cannot wait for WWE Backlash.